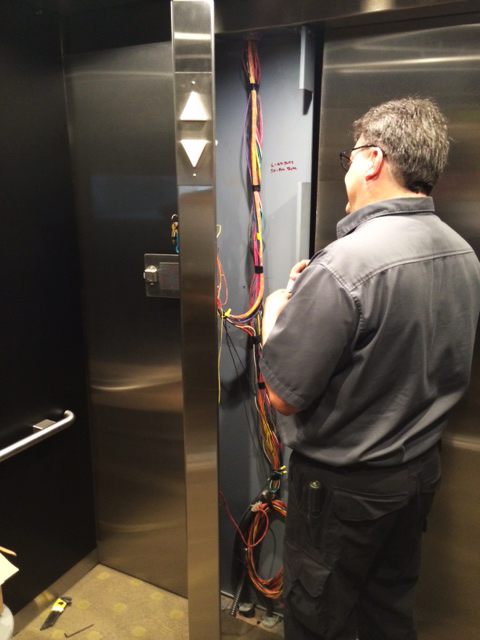 ESR is committed to excellence in elevator service. Our highly skilled technicians and maintenance programs will keep your equipment running safely and reliably. Our practice of employing the best technicians, providing prompt response to customer requests, having manageable service route sizes, and empowering our technicians to make reasonable part and material purchases results in superior performance, and most importantly, customer satisfaction. ESR maintains all types of vertical transportation equipment, including elevators, passenger and freight, and others. The manufacturers we service include, but are not limited to: Westinghouse, Dover, Otis, Schindler, ThyssenKrupp, Kone, United States, Haughton, MCE, Elevator Controls, Swift, Smart Rise, Virginia Controls, O’Thompson, Millar, GAL, Montgomery, Home, Atlas, Reliable, Pacific, and many others. ESR’s service agreements are both easy to read and easy to understand. Our scope of services are clearly detailed, so there’s no question as to what’s covered and how often we will be on site. Also, our terms and conditions are reasonable, so typically there are no issues or delays with finding mutually acceptable language and/or coverages. Distinctively different from our competitors, there’s no pressure to enter into a long-term contract. The term of our standard agreement is only one year. We figure if we do our job well the rest will take care of itself. Various service frequencies are available. We offer weekly, monthly, semi-monthly, quarterly, and semiannual. The frequency is typically dictated by the equipment type and usage.